This one of a kind and beautifully inspiring purse charm says: 'The Devil whispers "You can't withstand the storm" The warrior replied "I am the storm". It comes with a beautiful CZ dangle as well. 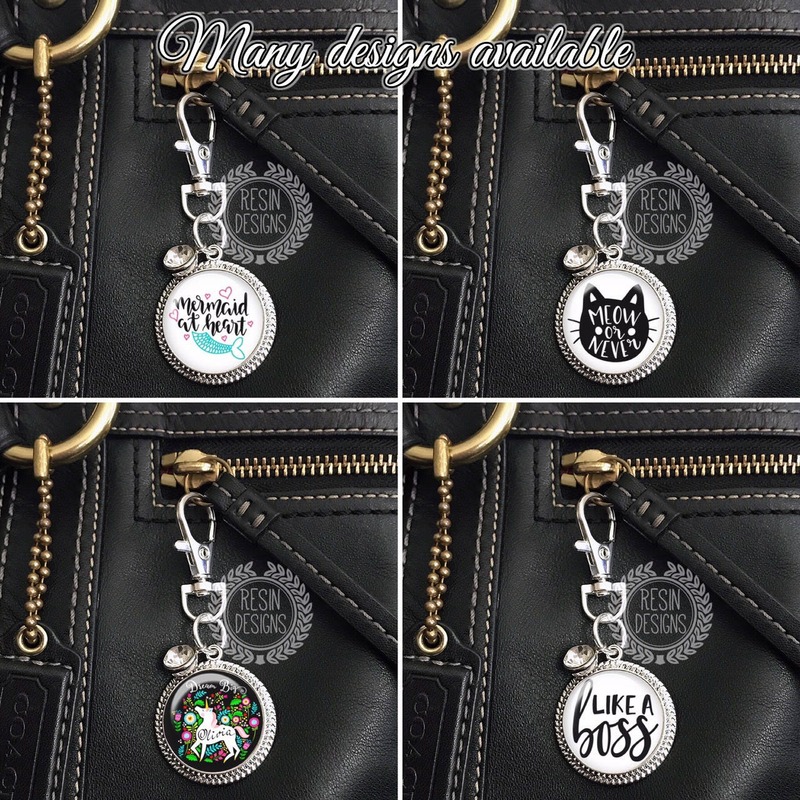 Please select if you would like this item sent as a purse charm (as shown) or if you would like a split key ring attached (at no additional charge) at check out. If you would like me to leave off the CZ dangle, please let me know at check out. 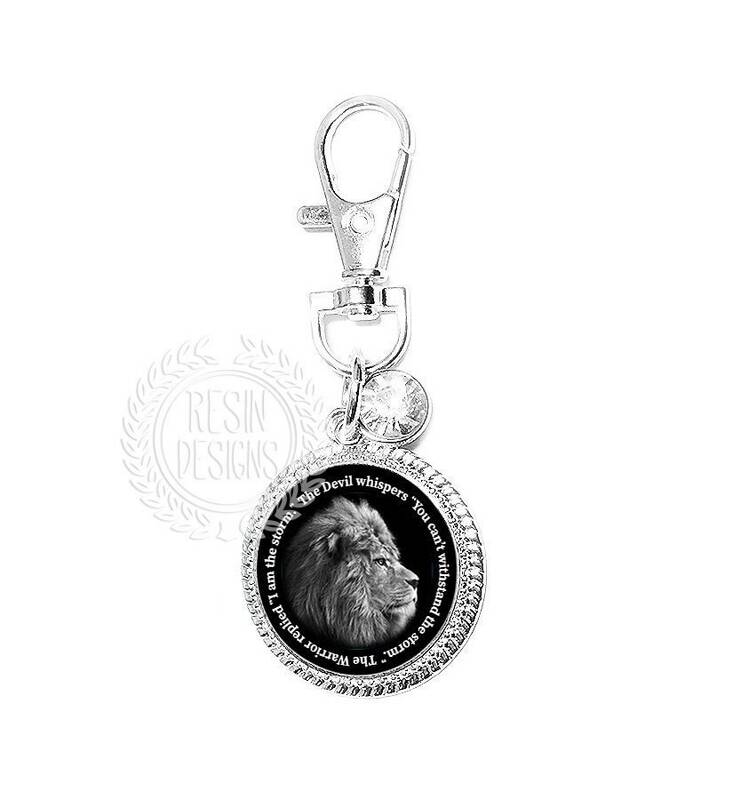 This silver plated charm measures 1.25" wide. 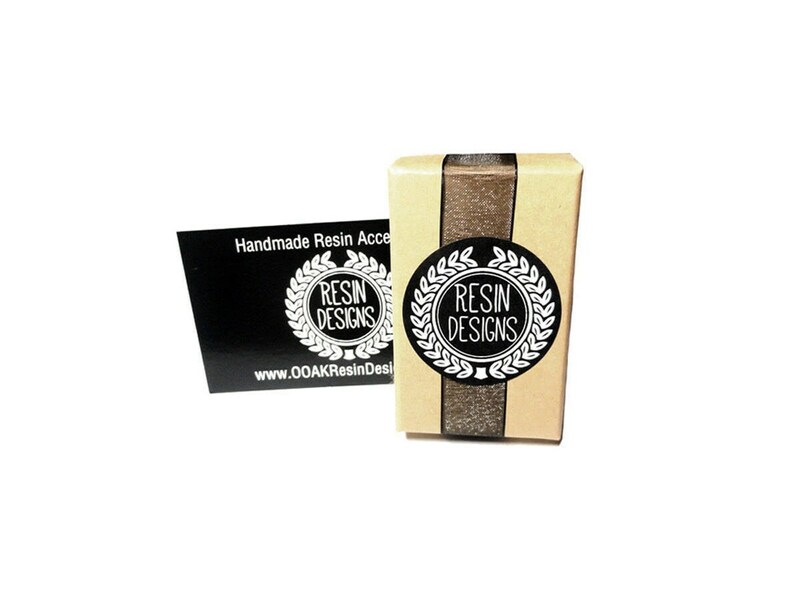 *All items in my are shop are waterproof. If it should happen to get wet, gently dry it with a soft cloth.